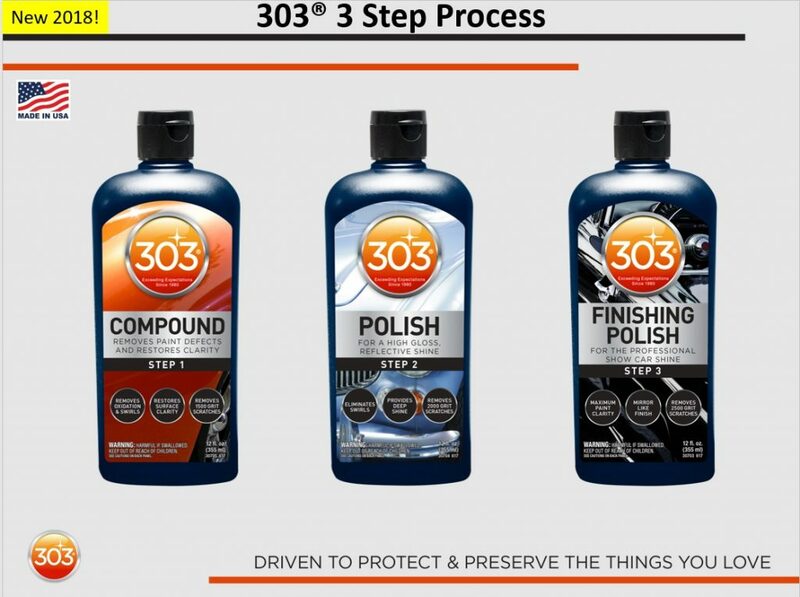 We just stopped by the 303 booth and they are excited to announce a few new products, Compound, Polish, Finishing Polish, Tire Balm & Protectant and a few more. We currently carry the Tire Balm, so grab yours today. The other products we hope to have in the coming months. 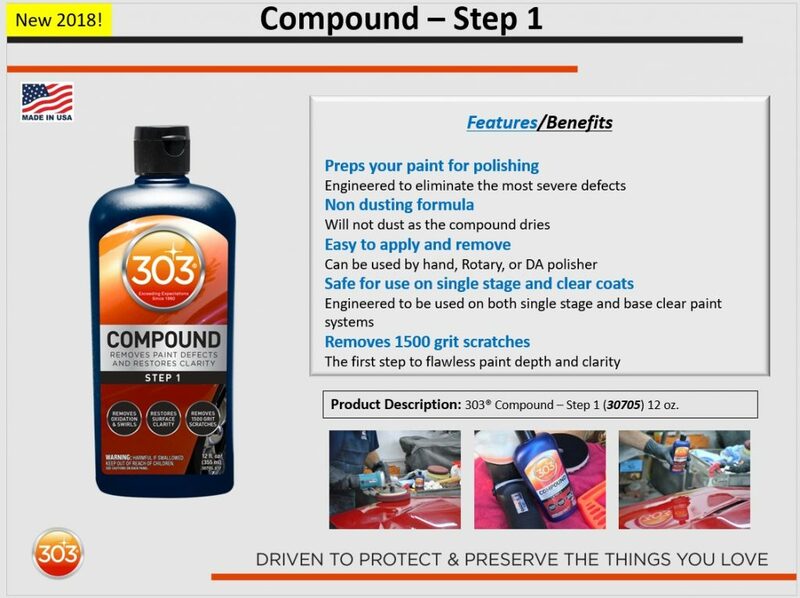 Check out the photos directly from 303 for some more information on each new product below! 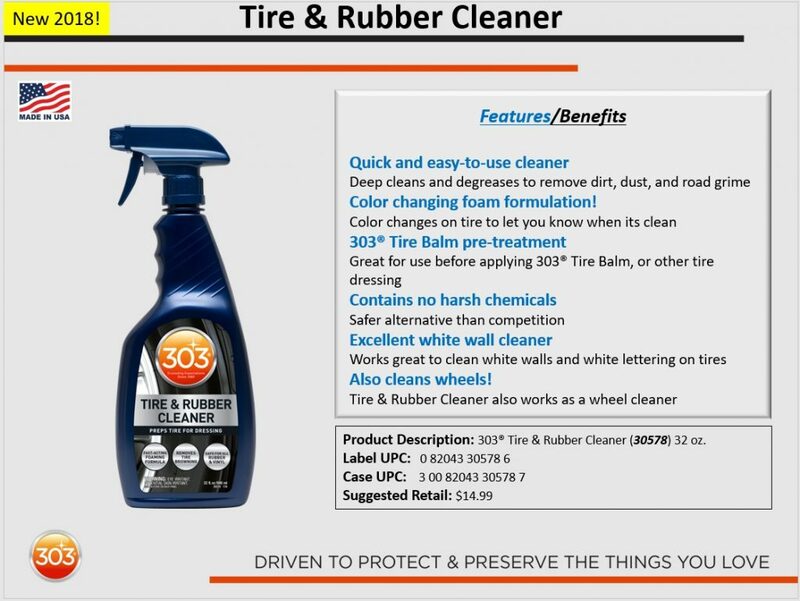 I have been using 303 Tire Balm since it came out and have been VERY happy with it! 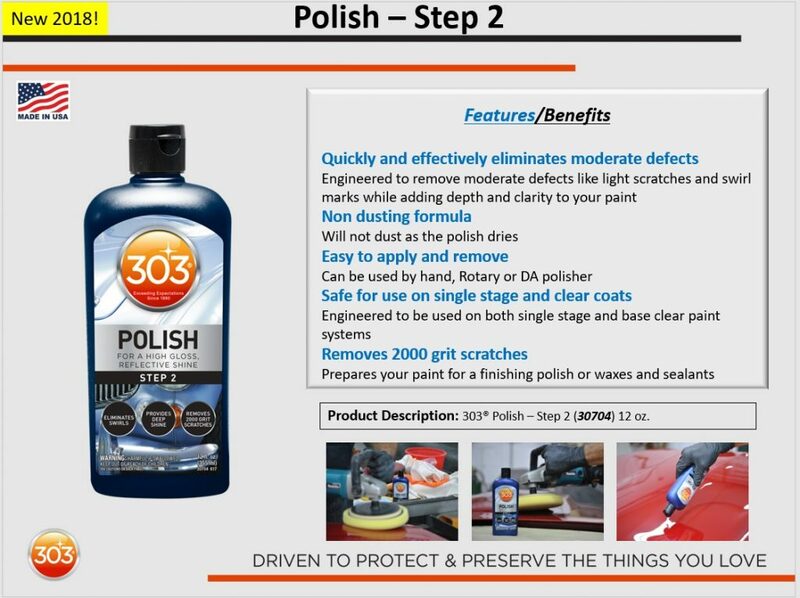 Once the tire has been cleaned you lay down a base coat and wait 15 minutes to lay down a 2nd coat. At this point you can determine whether you need another coat based on your looks preference. Because it’s a white/creme color it will not stain the edge of your rim and its thickness allows it to spread easily but its NOT watery though. 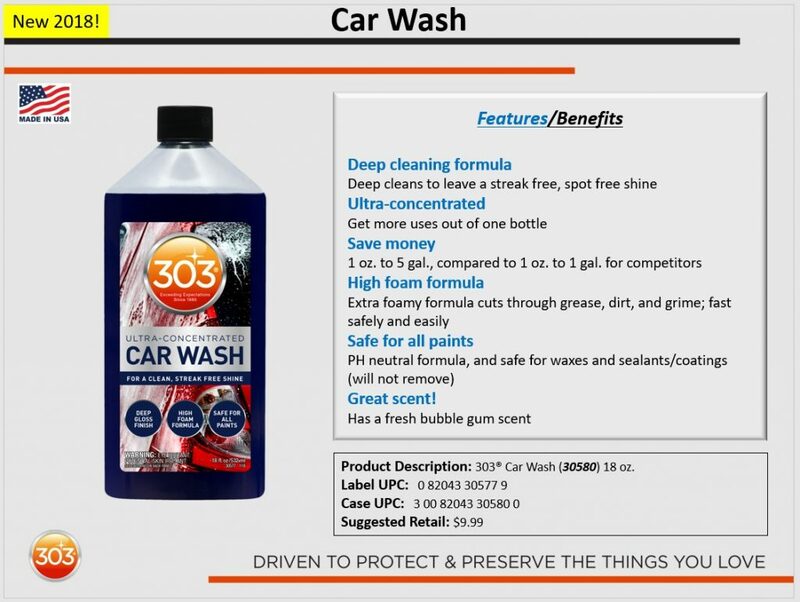 Durability is a solid month but I like to add a light, “refresh” coat every other week and I’ve found this really helps when washing the car because it just always looks clean, a nice sheen is always maintained. In closing let’s talk price…no brainer, BUY THIS and you’ll be very happy. 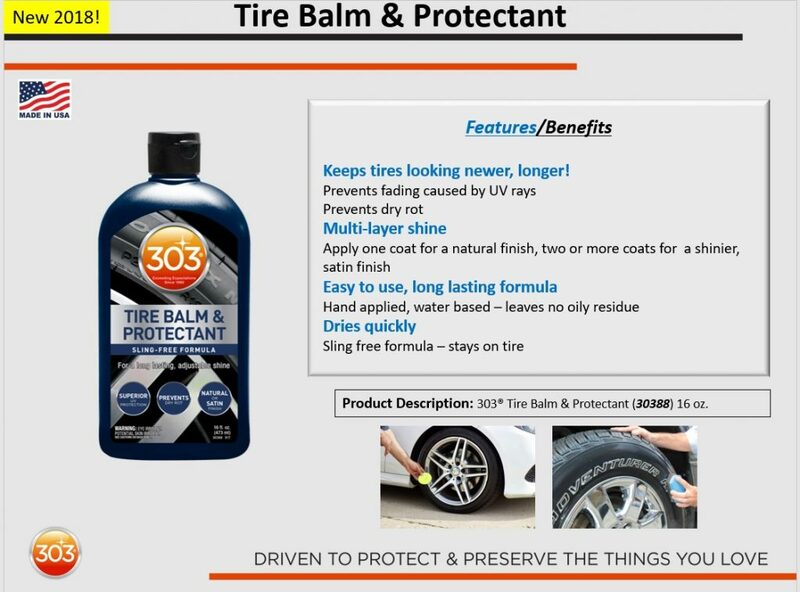 It’s a tough market for a product like this but 303 Tire Balm has what it takes! 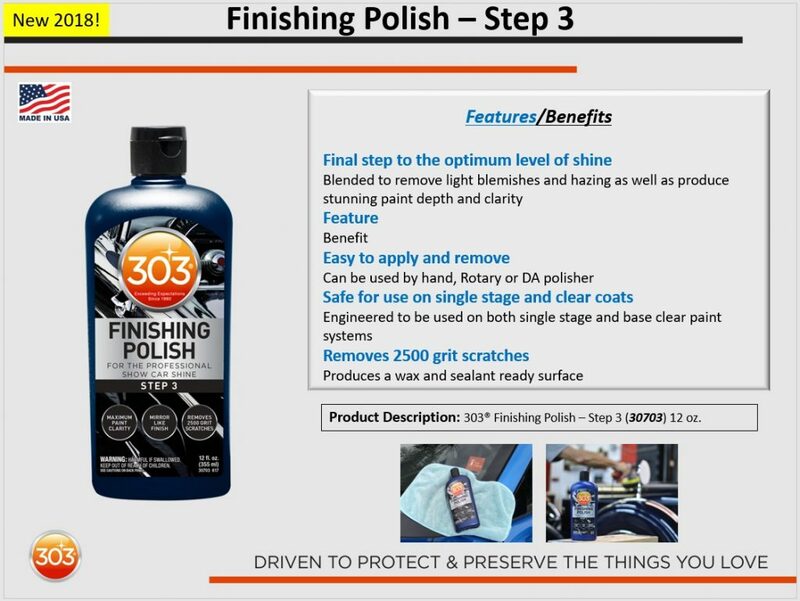 I used all 3 of the 303 products (compound, polish and finishing polish) on my car back in June and they were all a joy to work with. The compound had very little dusting and easily leveled out the finish. The polish brought out every spec of metallic in my paint and the finishing polish brought things into sharp Focus, couldn’t be happier! 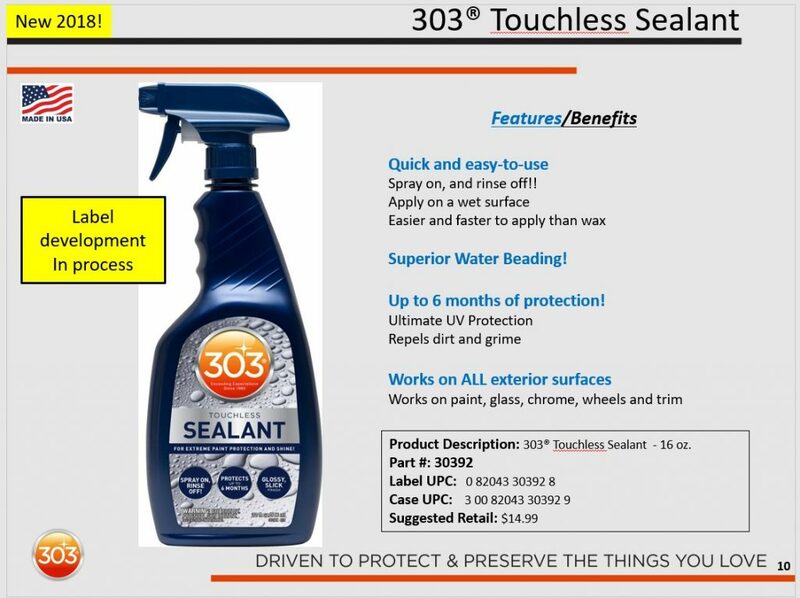 I know 303 is known for their protectant but this is one company yo keep an eye on, lots of interesting products have come out recently and more to follow like their version of a spray on, wash away sealant that ISNT Sio2-based.